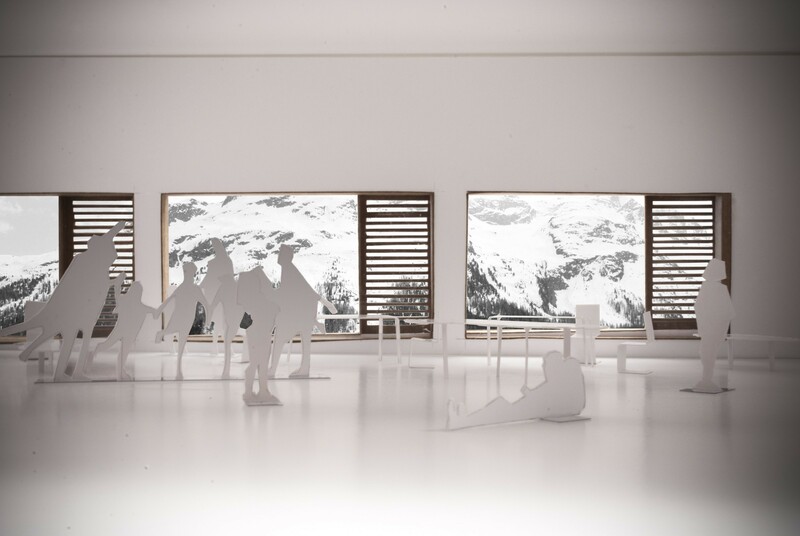 The compact mass of the house follows the closed, introverted typological system of traditional buildings of the Engadin valley. 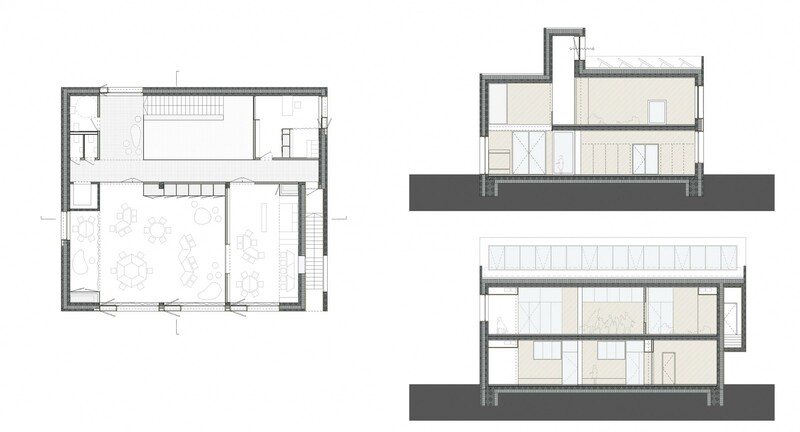 However, intense relationships and transparency is emphasized in the interior space. The structural system enables this dichotomy: we tried to minimize the fixed, unmovable structures of the building in order to reach a flexible system for the future reconstructions. 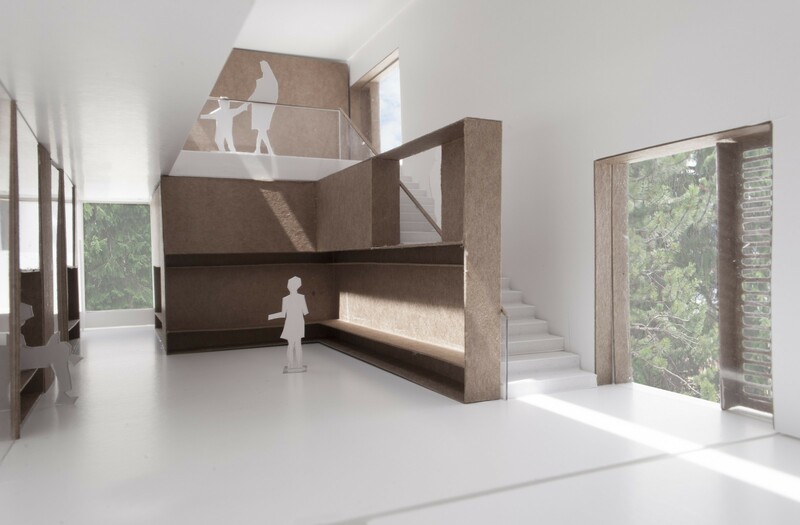 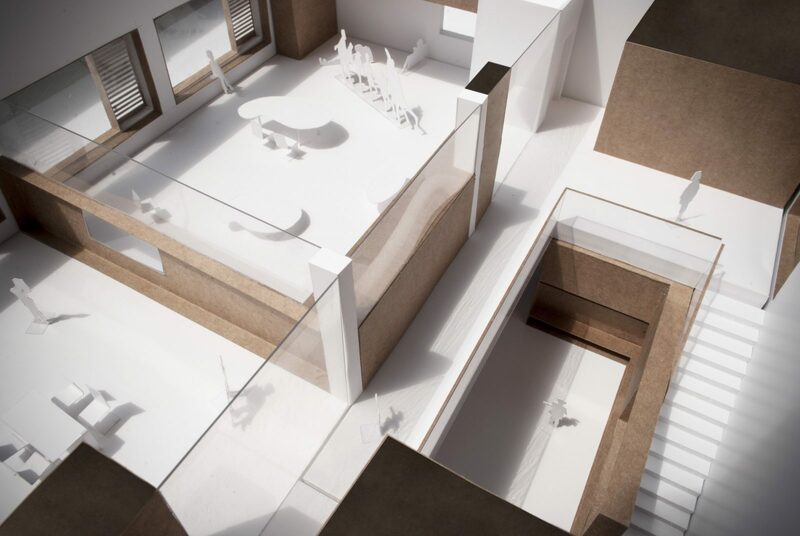 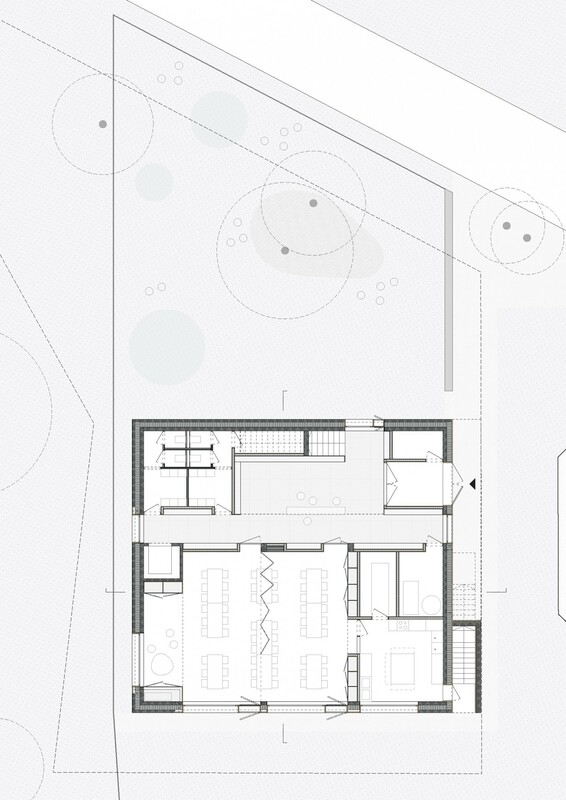 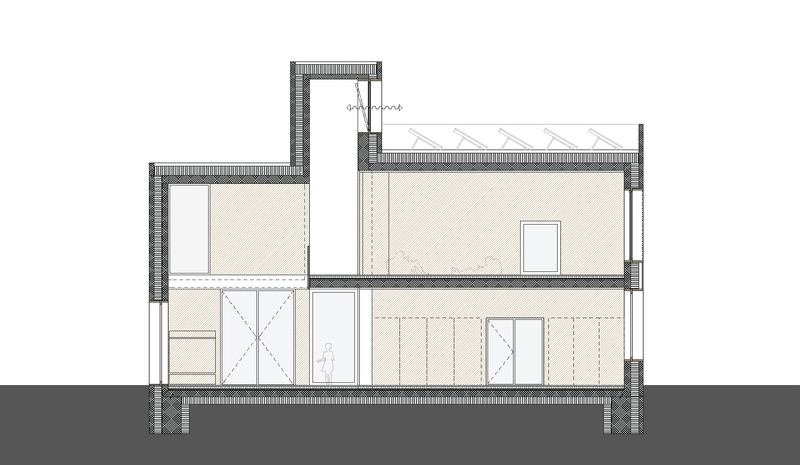 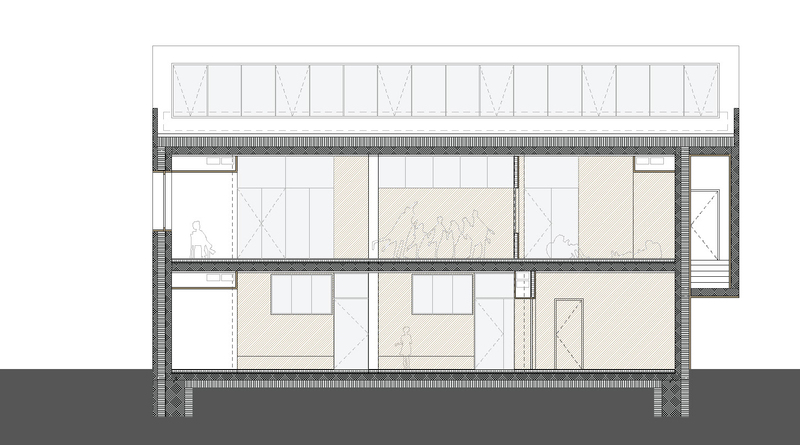 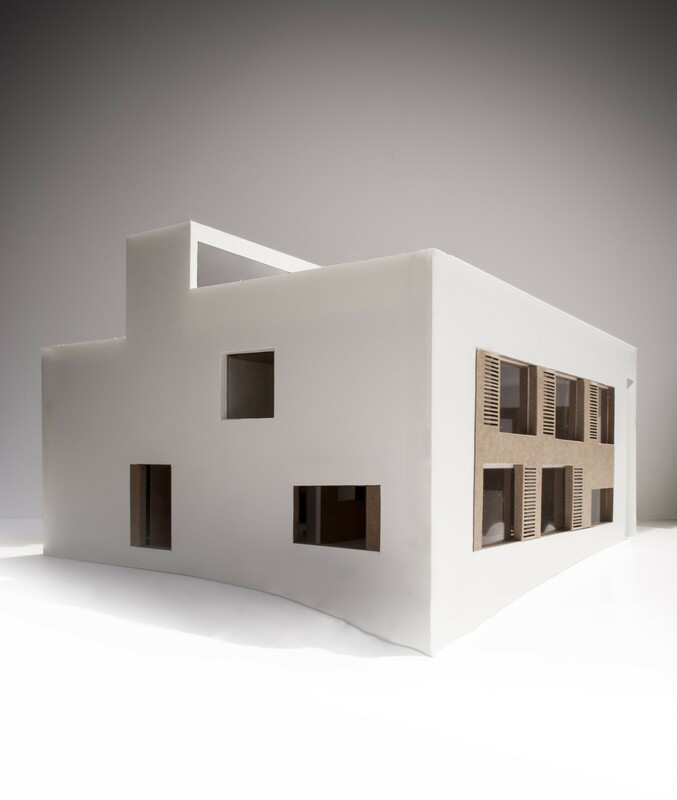 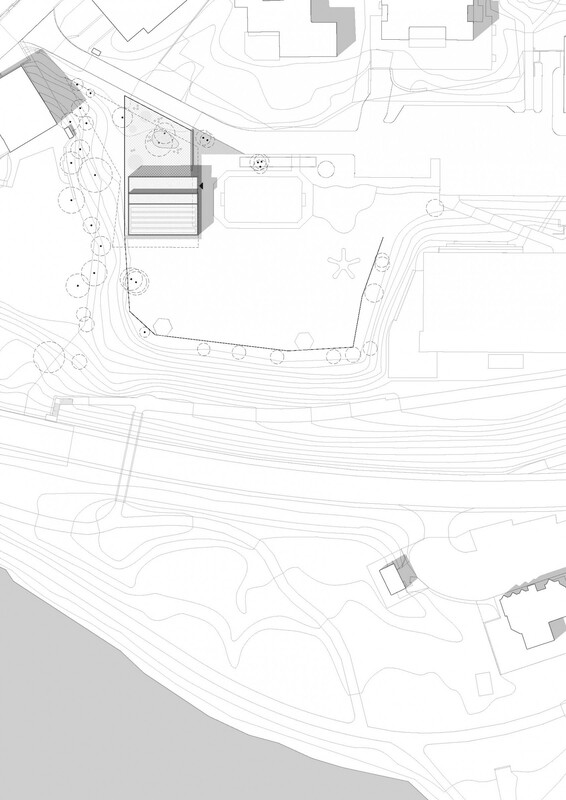 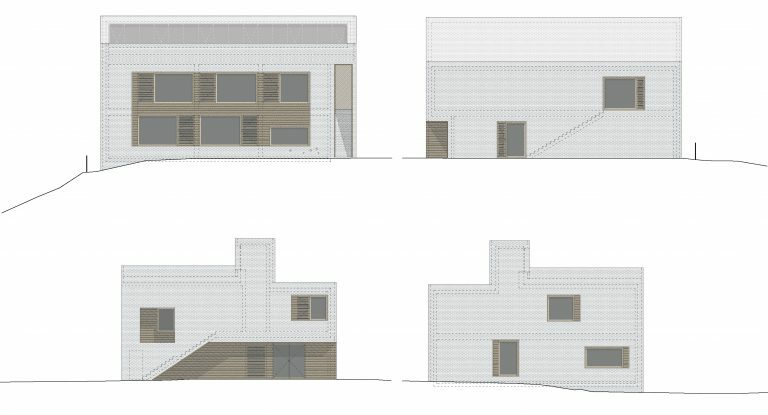 The two storey design enables that all the main rooms of the building can be opened in the direction of positive orientation and views, in contempt of the built area’s perpendicular orientation of the valley. For the reason of expansion, the grass area on the north-west side was left free so that it can be used as a garden of the daycare center, separated from the road with hedge and protected from the wind. 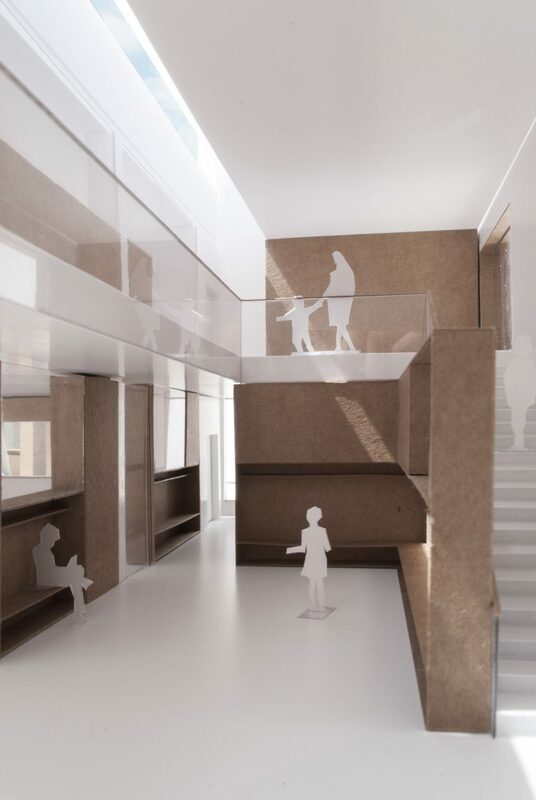 Entering into the building, the central space with gallery reveals, this is the „living room” of the daycare center, around which the inner world is organized. 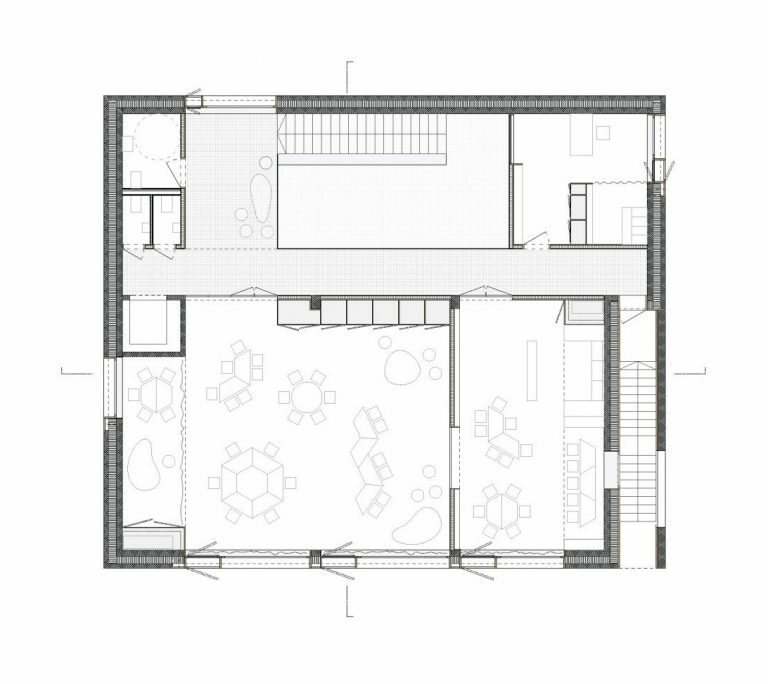 The main areas open from this central distributor space which helps the space orientation, so in a sense, it works as a focus point of the house.